Opentrons co-founder Will Canine had a chance to speak with Samuel Juillot in Paris. Samuel is Chief Scientific Officer at Glowee, a French start-up making bioluminescent signs with an OT-One PRO in their lab. (Conversation has been edited for clarity and brevity). Will: OK, so I’ve seen your website, but in your own words, what are you working on? Samuel: We would like to propose a new way of lighting the cities of tomorrow. The idea is to find another way of making light without electricity, and when you look into nature, you directly find solutions. It's a big trend today in France, also also in the USA I think, to do biomimicry, bio-inspiration. And so basically when you look into nature, you find bioluminescence: the property of making light without electricity. Samuel: Sandra Rey founded the project at the beginning. She saw bioluminescence in nature and she thought 'why not use this?' And it started like that. But she is a designer, not a biologist, so she had to find the people first to make the product possible. And the company is a little bit less than 2 years old, founded in December 2014. Our idea is really to have a product that is not using any electricity. That does not require any infrastructure. You simply take it and place it on your glass surface -- that's it. Like a sticker. Will: Awesome! 'Peel and play' advertising it sounds like. Will: Cool. So it's kind of replacing neon signs. Will: There are tons of neon signs. And those take up so much power too. That's awesome. When can I buy a Glowee? Will: So you joined shortly after it started, right? After you got your PhD? Will: So what was your first benchmark? What were you trying to build at your earliest point? What were you shooting for milestone wise? Samuel: Sure, so first we wanted to make a stable light last more than 10 hours. Will: Cool, that's a good one. Stable light for 10 hours. Samuel: And not in liquid states. Because I mean, it's very easy to make a liquid culture. Will: In a shaking bioreactor? Samuel: Yeah exactly. Shaking, bubbling bioreactor requires electricity. We’re making light without electricity. Will: So does that mean the bacteria grows, like, on agar? Samuel: Kind of something like that, yeah. Will: Some stuff. Gotcha haha, cool. Samuel: We have a designer as a CEO, so she doesn't want any disgusting color. Nothing smelly either. Samuel: So we are also working a lot on the solution to have the best product at the end. So we've reached 72 hours of light in jellified medium. Will: And then they have to swap your sign every 72 hours? Samuel: So right now, yes, but it's not very convenient. So we aim to reach one week of light by the end of the year. Samuel: You may think 'OK, but compared to LED systems, you cant reach the same life duration for the product." I think LEDs, if you use 24hrs/ day, last about three years. And we did some life-cycle analysis and actually in terms of CO2 consumption, if you count everything -- production of LED, electricity production, etc -- our glowing systems with one week of life duration, we are much more sustainable long term. To start, we have 3x less CO2 [emitted per unit lifecycle than an LED], and if it’s 1 month, its 10x less CO2. And that's quite nice. Samuel: Of course it's really only for shopfronts, and only for specific markets. Will: So, which genes did you first use for bioluminescence? Samuel: So we started very simple at the beginning with the lux operon from vibrio fischeri. It's well known, and actually it's also what what was done in one of the iGEM projects from Cambridge in 2010. And it was the first iGEM part where they actually started to make light build something better around this system. Will: Are there ways of making it stop during the day so it can glow more at night? I'm sure you've thought of all these kinds of regulation. Samuel: Yeah, yeah, sure. So it's also bio-inspiration, look into nature and plants regulated by light. So basically you have circadian rhythm, and the idea is really to take advantage of these promoters that regulate by the day and the night. Right now we're still working on bacteria, E.coli strains and so on, and we can already control their activities by light, so that's quite nice. Actually, I did my PhD on what’s called optogenetics. Will: Where you turn things on and off with light? Will: That’s usually used in neurobiology, right? Samuel: Exactly, it started with neurobiology, but we can control everything now with light. Will: OK, so it's it's turning on and off genetic circuits with light? Samuel: Actually, it's protein - protein interaction first. You activate recruitment, or de-activate recruitment. So basically gene expression is quite simple, you change the conformation and it will bind to DNA. But you could also imagine a system where you have two proteins that will just simply interact together when you turn on the light. Will: You could start and stop the bioluminescent process with light. Will: Cool, that's amazing. And you could one day see one of your glowing things turning on another one, or off another one, with its light. Will: So tell me about your lab work. What do you guys do usually? A lot of bacterial culture? Samuel: Yeah yeah, but right now we we stopped a bit and we are collaborating with -- what’s the English -- when you ask another company to produce something for you? Will: Like a CRO? Or just a contractor? Samuel: Yeah. So basically they make the production of bacteria, because we have done like four different big events where we had to produce several hundred liters of bioluminescent bacteria. The first one was during COP21 in Paris last year. It was for the United Nations about ecological change. And in two weeks we have another big event that we will do. And yeah, basically we make more and more bacteria each time, up to like 100 liters, and we cannot produce all these liters ourselves. It would focus the whole team for weeks, and we are still in research phase and have to keep focused. Will: OK, and what is driving your research? Samuel: So we do a lot of microbiology. And so we have a lot of cloning to do, and actually to optimize the luciferase quantum yield we started a big mutagenesis project, random mutagenesis, because it’s simple and efficient. So that’s why we have a colony picker, to screen a lot. Will: Do you just take a picture of the plates and choose the brightest and pick it? Samuel: Right now, we screen everything and then use a plate reader to detect the intensity in a 96 well plate. And so that's why actually we were first interested in having an Opentrons robot. Basically to standardize one part of our process, and to have some part automated where you just prepare a lot of plates with medium. So instead of using our multichannel pipette every day by hand, have the robot do it. Its very simple, but just to put media in every well -- we do nine or ten plates per day -- it gets to be a lot. Will: Nice! Just the Opentrons robot putting medium in plates? Will: Cool, that’s not a job for a human. Samuel: Exactly. So then we use the QPix to pick the colony and put it into the well in the plate. And after that we make a culture of the just picked bacteria in the plate and a few hours later we measure the luminescence. We have a system to directly measure with a plate reader which one is brighter. And after that we take it and we put it in another plate then we come back with the Opentrons robot and we make a dilution. Will: Cool, we love doing dilutions. Samuel: Well it’s kinda like cherry picking, just transfer plate to plate and dilute. And basically we put the positive hits from the first screen in the first row and make a dilution with replicates. Basically it's to confirm that it was not a misreading from the plate reader and that it is a real positive. And that's the first part where we were really interested to use the Opentrons robot. Will: This is awesome. So just to recap, the Opentrons robot is part of your automated mutagenesis pipeline? Will: So cool! And what did you say you’re targeting with mutagenesis? Samuel: When we speak about bioluminosity and intensity we have to compare it a bit like the screen of our computers. You have intensity but not in lumen units, it’s in luminescence units. And basically it's intensity, but but per square meter. Will: Ahh, OK, area intensity. Will: And that’s your big metric? Samuel: Yes. Right now we would like to increase the light emitted per bacteria. That means to change the quantum yield, so the number of photons emitted per reaction. 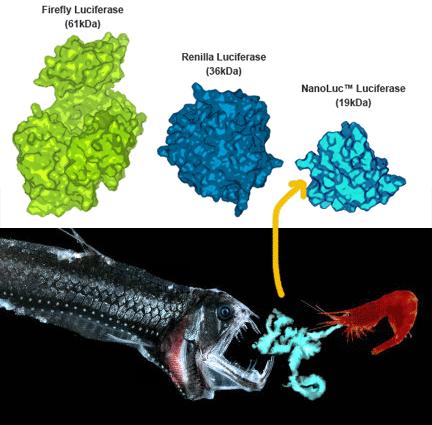 These luciferases are well known to have really bad quantum yield in bacteria. Will: Did you say quantum yield? Will: OK, cool. Um, wow? Samuel: Hah - so it’s the number of photons produced per reaction. Will: Gotcha, so these luciferases have low efficiency producing photons, a.k.a. light. Samuel: Right. If you look into Promega products, for example. Will: You mean the supply company? Samuel: Yeah. They sell a lot of types of luciferase. Even their regular product is around 80x brighter than what we have right now. The thing is that you cannot produce a substrate of Promega’s luciferase in microorganisms because we don’t know the biosynthetic pathway to make it. Will: Huh, how do they make it? Samuel: They make it chemically, because it’s for detection in vitro, so, it’s not the same purpose. So, we have to deal with what we have in bacteria, but it's not efficient in terms of quantum yield. So basically, we have to change that. And if you look into nature, again, you can see some mutants that are efficient. So you look into the structure and analyze that some amino acids are mutated and they are brighter. Other variants in other bacterial strains change their wavelength and are brighter. Samuel: And if you look even more deeply in nature, the YFP is sometimes fused to the lux operon. So the yellow fluorescence protein can absorb the light from the bioluminescence and emit in yellow. So you change the wavelength of emission a little bit, and you have a phenomena of amplification. So you have a brighter system. This is actually called BRET: bioluminescence resonance energy transfer. It's a bit like FRET but you don't have for fluorescence-to-fluorescence, it's bioluminescence-to-fluorescence. 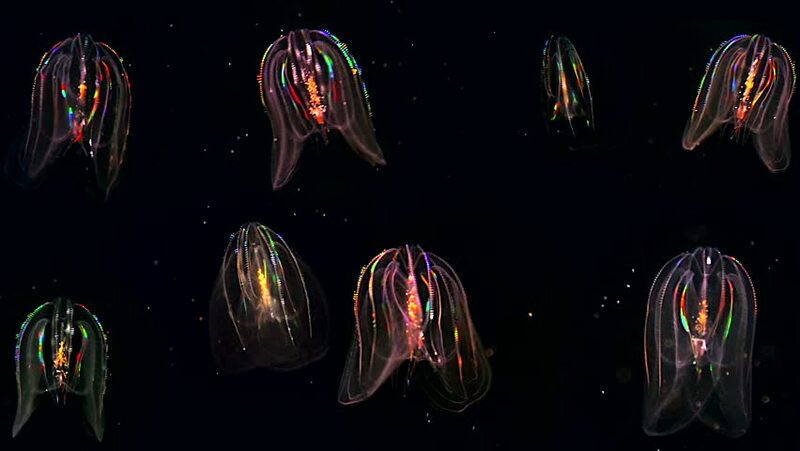 Samuel: Also if you're looking to the deep ocean you have some small microorganisms that have rainbow colors on some filament. Maybe I can show you a picture. They actually have all the colors, its crazy. Samuel: It’s bioluminescence. And actually, it’s fused to fluorescence. You have one color of emission for bioluminescence, and after you have the change of wavelength made by the fluorescence. Will: That's amazing. So you guys are doing that kind of thing? Samuel: Exactly. So our idea is to get all six colors. Will: It really looks just like a neon sign, it really does. That will be cool. Samuel: Right now we actually are making color during the day, so then you can make advertisements out of your sticker. And you can have something completely personalized written on the sticker in red, for example. And during the night, you don’t see the red, but you see the blue/green glow of the bioluminescence. Samuel: So now during the day it could be blue, yellow, we can get something greenish, red, and we have white. 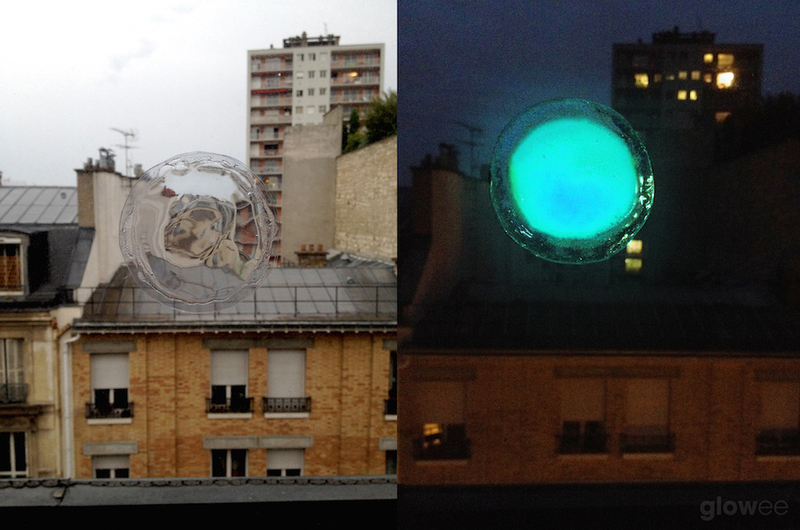 So during the day you see something, and afterwards you have bioluminescence at night. And why do we want to this property, this feature, actually? Because our first prototype is for shopfronts. Will: And when can we see that? Opentrons is proud to partner with biotechnology companies like Glowee, that share our mission to utilize the power of biology in technology to improve the health and happiness of our planet. We are excited to share how Opentrons robots are helping to make a difference around the world.